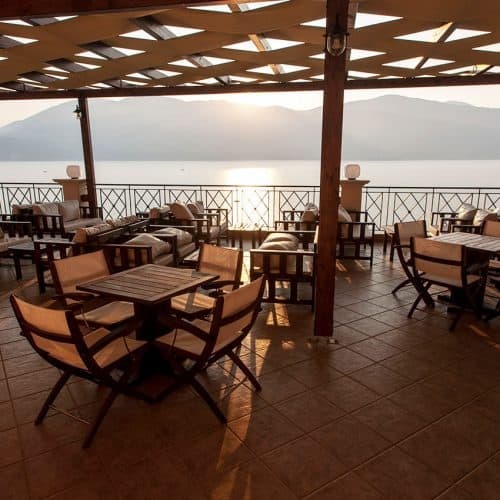 We’re so excited to introduce our lovely new walking base in Kefalonia. 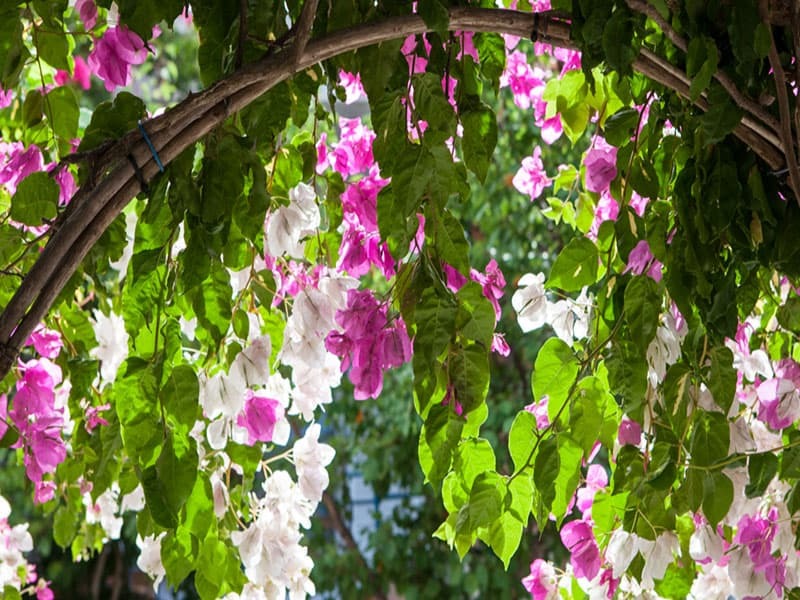 It’s a little slice of paradise, and exclusively ours. 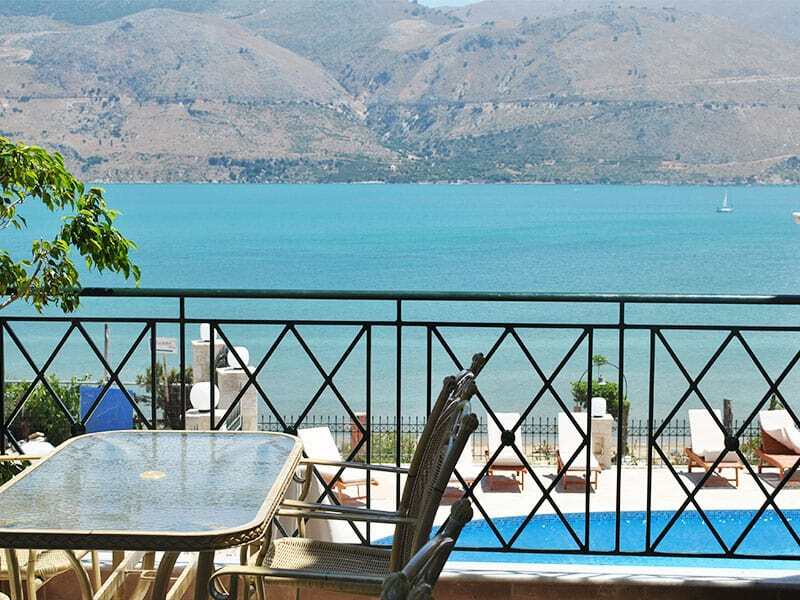 This friendly family-run hotel is extremely comfortable and has stunning, uninterrupted views across the beach and Ionian sea. 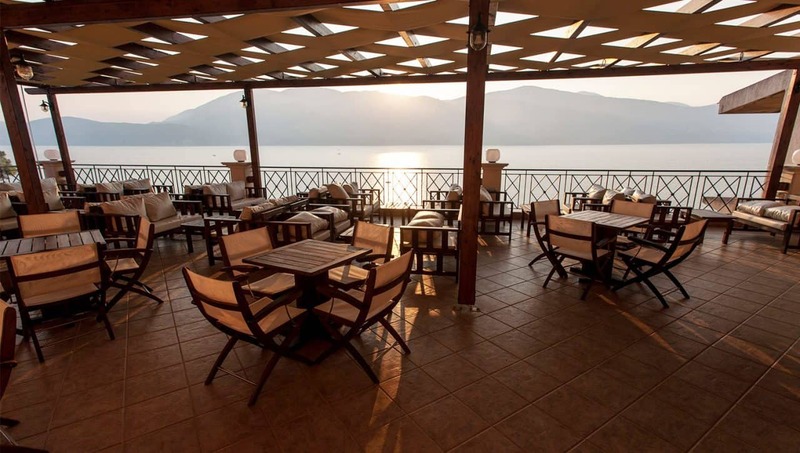 With a laid back atmosphere, very comfortable accommodation, delicious local food and friendly staff it’s hard to beat. 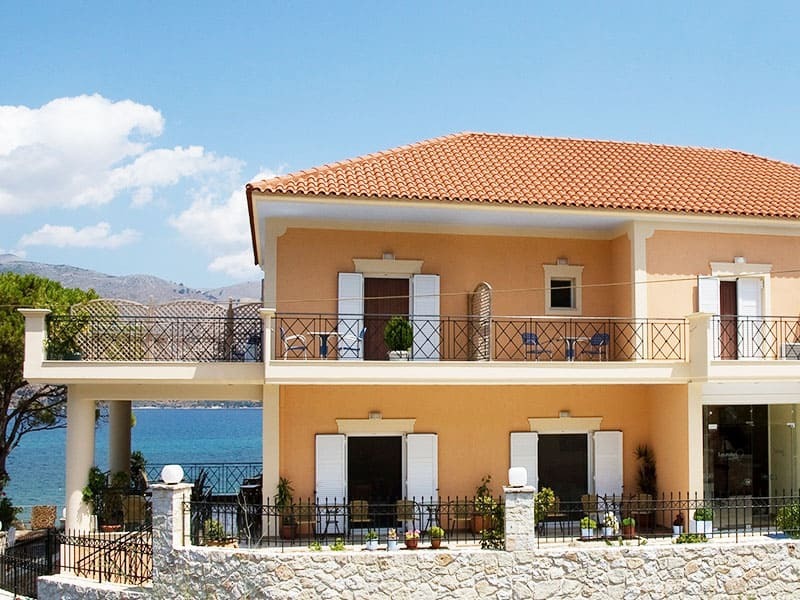 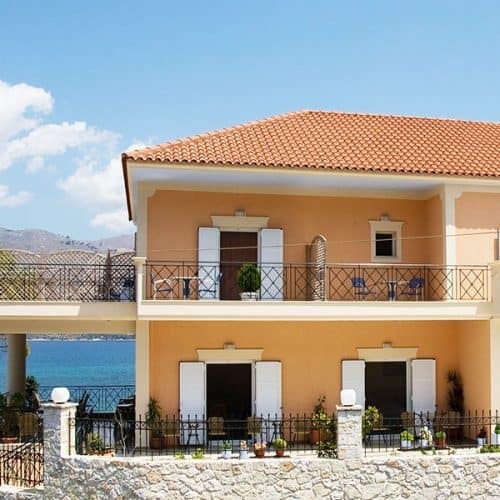 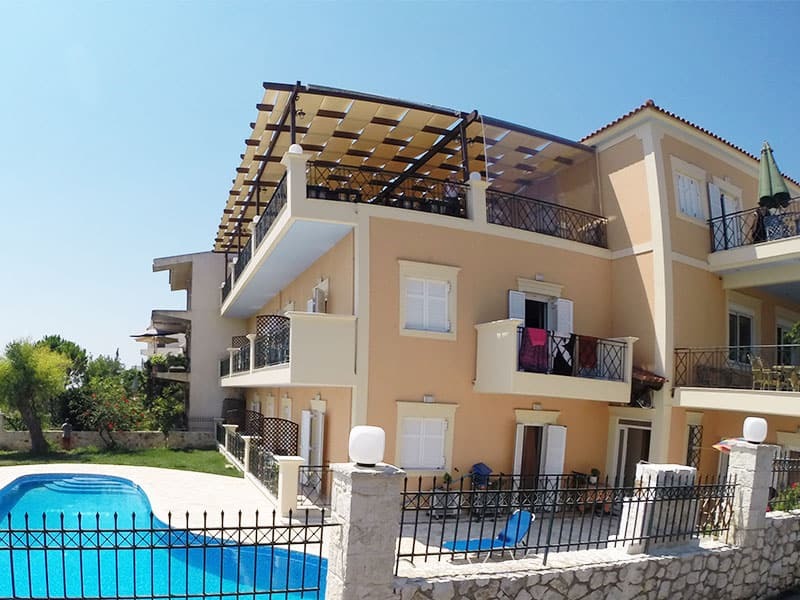 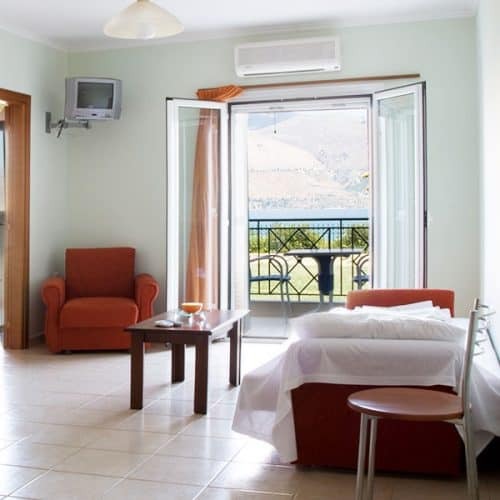 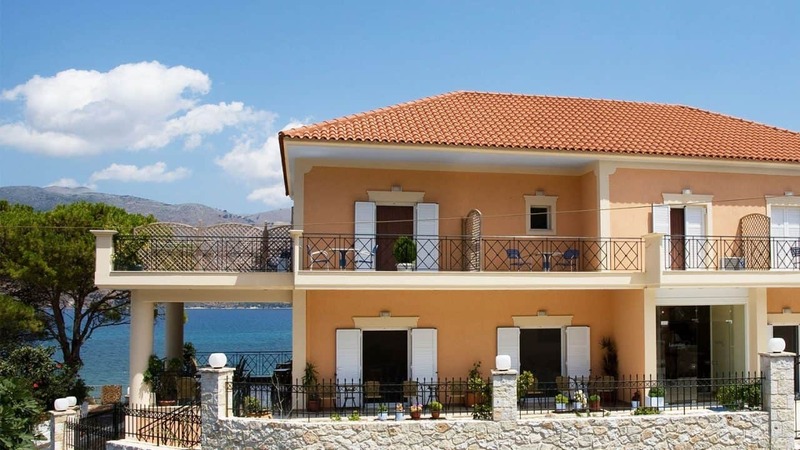 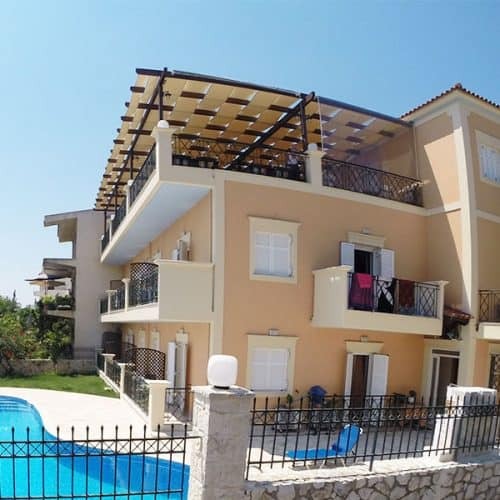 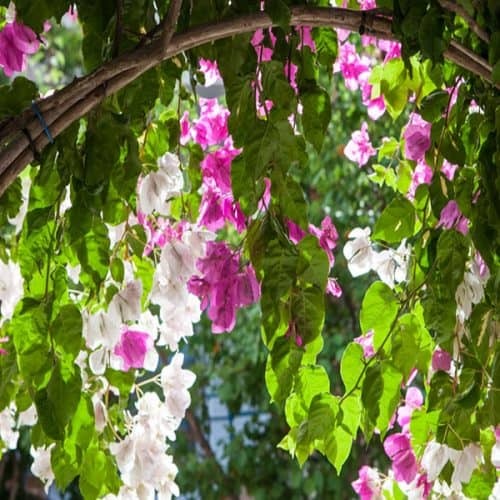 It’s in a peaceful location, only a short 5 minute cab ride from Lixouri and the bustling town square, and 10 mins from the incedible Petani beach. 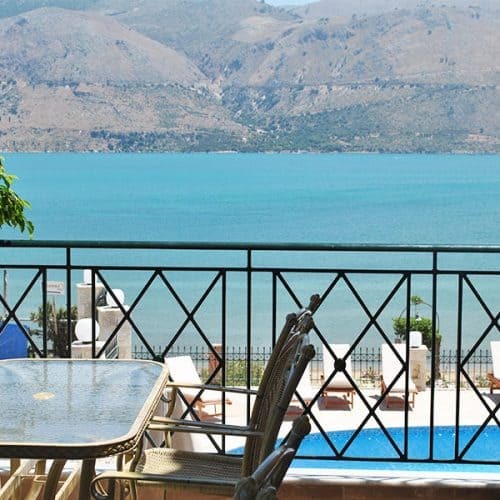 The pool is wonderful, with shaded areas and views over the beach, sea and mountains beyond. 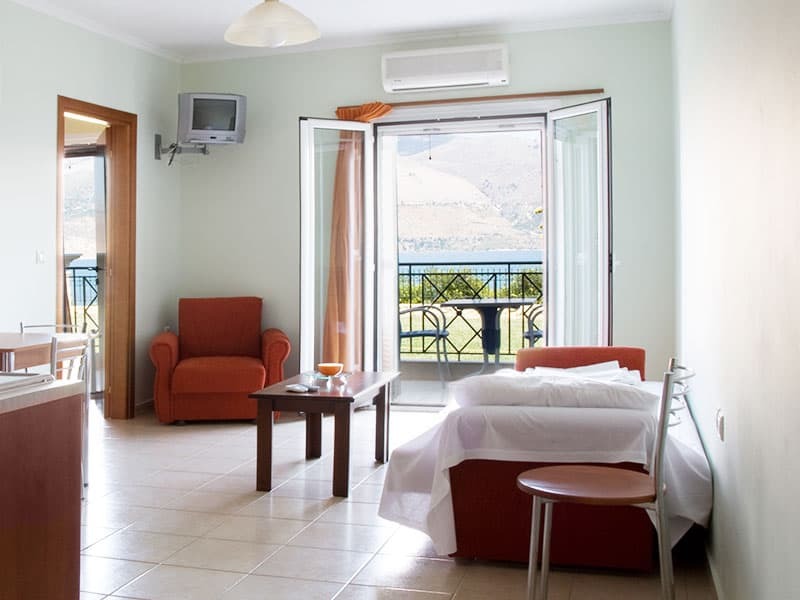 The rooms are extremely comfortable. 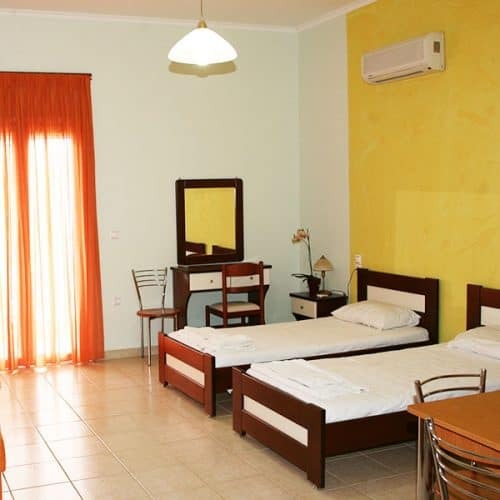 Very spacious single room studios and 1 bedroom appartments, cool and modern with balconies or terraces, most of which have very nice sea views. 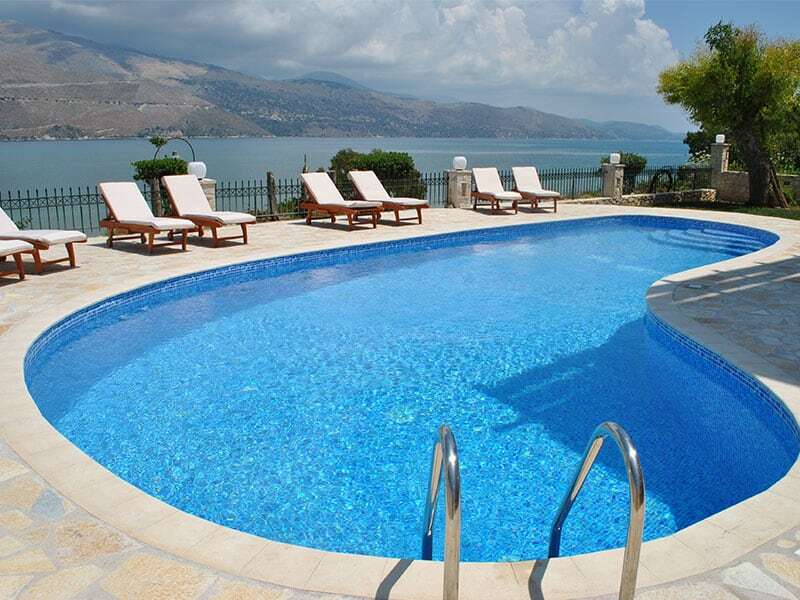 Ideal for 2 or even 3 adults.